Since 1686 the Landrat-Guyollot family have been viticulturalists in the region of Nivers. Trade increased to Paris once the river Loire became navigable, from the 16th century onwards, with families such as the Landrat-Guyollot using dinghies (‘Les Rambardes’) to ferry wine to the capital. Sophie Landrat-Guyollot now represents its 10th generation; the last three generations to run the estate being female. 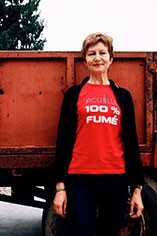 A graduate of the Lycee Agricole in Beaune, Sophie began working at the estate in 1992. Since the 1970s the family have been bottling 100% of its production. Located in the village of Les Berthiers, close to St.Andelain, the family now owns 16.5ha across the villages of Tracy, St. Andelain and Pouilly-sur-Loire. 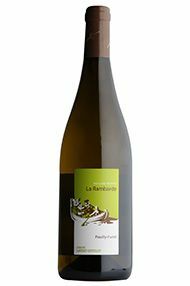 Pouilly-Fume ‘La Rambarde’ is a classic blend of kimmeridgean marl, limestone and flint soils. From the 2009 vintage they also make two cuvees representing the two key soil types found in the region: Pouilly-Fume ‘Gemme Oceane’ is made from fruit grown on the kimmeridgean marls (from vineyards Les Cornets and Meilliers) while Pouilly-Fume ‘Gemme de Feu’ captures the tropical notes expressed by the red flints of St.Andelain. No oak is used at the domaine.